One of the most difficult watch complications to produce, a minute repeater transforms a watch from mere timekeeping device to miniature music box. 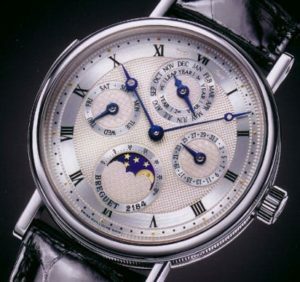 Pioneered by master horologist Abraham-Louis Breguet at the end of the 18th century, the minute repeater was always thought of as being the pinnacle of watchmaking design. 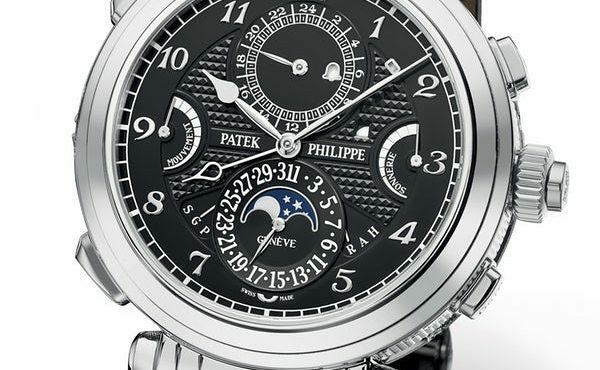 To put it quite simply, a minute repeater watch can chime the exact time with the push of a button. Invented before electricity was widely available, the minute repeater complication was designed to allow the wearer to tell the time in the dark, which was an extremely useful for those lucky enough to own one. 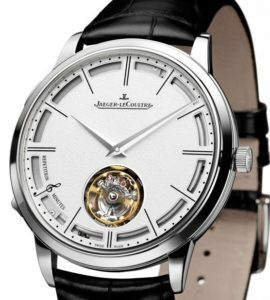 A minute repeater strikes out the hours, quarters and minutes on request while a quarter repeater strikes only for hours and quarters. 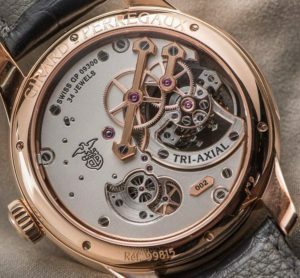 Today, minute repeaters are one of the most complex watch mechanisms and are highly coveted by watch enthusiasts for their masterful engineering and beautiful acoustics. 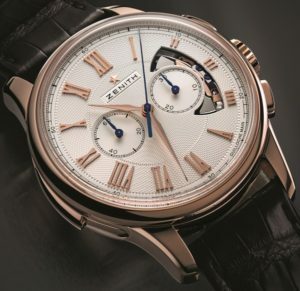 There are different types of repeater watch, but the minute repeater is the most coveted. The hour repeater chimes how many hours have passed since 12 o’clock, and the quarter repeater strikes the exact hours and quarters, giving a more accurate reading. 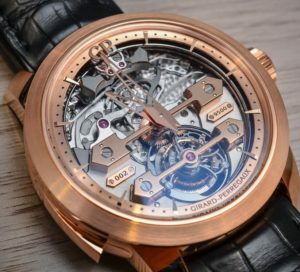 The minute repeater though, chimes the hours, quarter-hours and minutes, and uses different tones allowing the wearer to easily differentiate the three, making it the most desirable of all the variations. 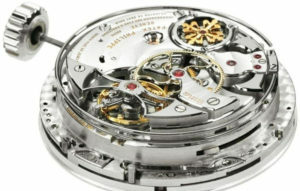 To achieve this unique sound, the watchmakers add an intricate addition to the mechanical movement. Small metal (usually steel) hammers will strike individually tuned gongs, which run around the outside of the movement creating a classic chime that is reminiscent of larger Grandfather clocks. Today it’s every bit as highly regarded and only a few elite watchmakers produce them. This is largely because of the time and skill it takes to create just one complication. 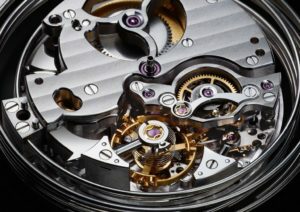 Over 100 components are used and up to 300 hours of work is undertaken to produce such masterpieces, making minute repeater watches some of the most expensive timepieces in the world. Fascinating story Mark. Thanks for the education. Great info Mark. Never even seen one or even knew they eisted. I meant existed. Sometimes this old keyboard sticks or doesn’t print the letters at all. Hi Mark,the only reason I know a little about these minute watches is that I watch Antiques Roadshow and was amazed. Thanks Mark for the info. Interesting. Thank you , what a watch . 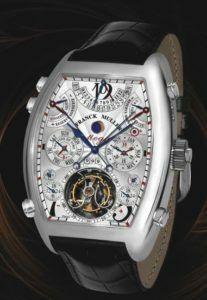 Excellent reading……the selection of pictures to compliment the article is perfect, and gives us a glimpse into a whole new level of watches. Thanks for the wonderful info on minute repeaters. Have you ever worked on one of these watches? I have an hour repeater carriage clock. I didn’t understand the value until someone pointed out that waking up in the middle of the night back then required finding a candle, or lighting one, to see the clock. A tap on the top and you knew the hour. Moving that to the minute, and fitting it into a watch; what a mastery of design and engineering. Thank you for another interesting article. I love these unique machines and wished I had your talents. So much fun to read about.